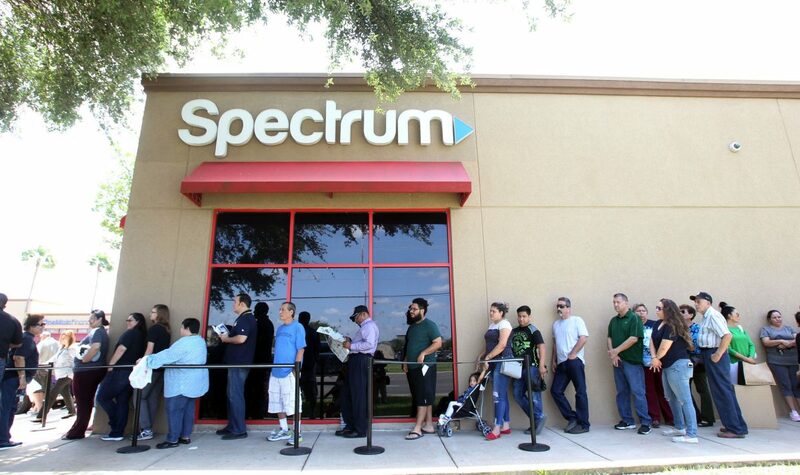 Long lines form outside the office at Spectrum on Wednesday April 11, 2018, in McAllen. 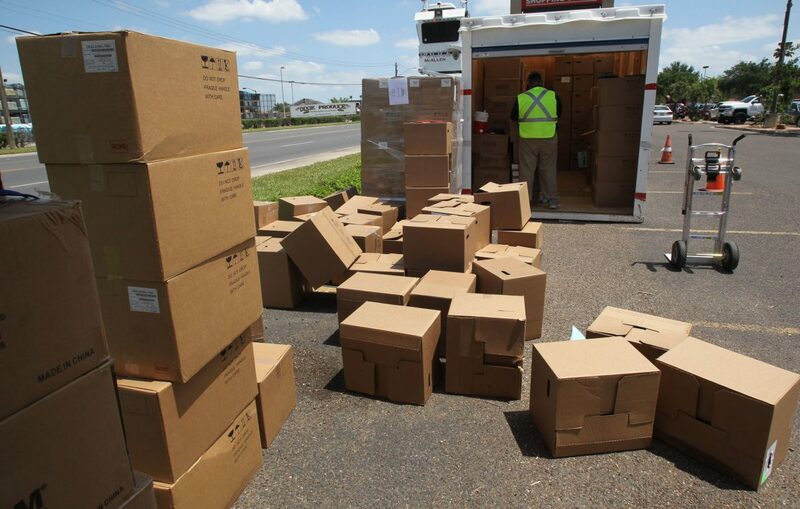 McALLEN — Expect to see long lines outside of Spectrum locations across the Rio Grande Valley for the remainder of this month. The cable company announced last week that they would be switching their cable TV service in the Valley to an all-digital network. Since 2009, per mandate from the Federal Communication Commission, cable providers have been required to make the switch. According to a news release sent by Spectrum, patrons will now have access to better picture quality and more than 65 additional HD channels as the company moves toward an entirely all-digital network. Customers across the area were given a specific deadline and were urged to upgrade their equipment before then, the release states. The RGV location’s office hours were extended to meet demand. 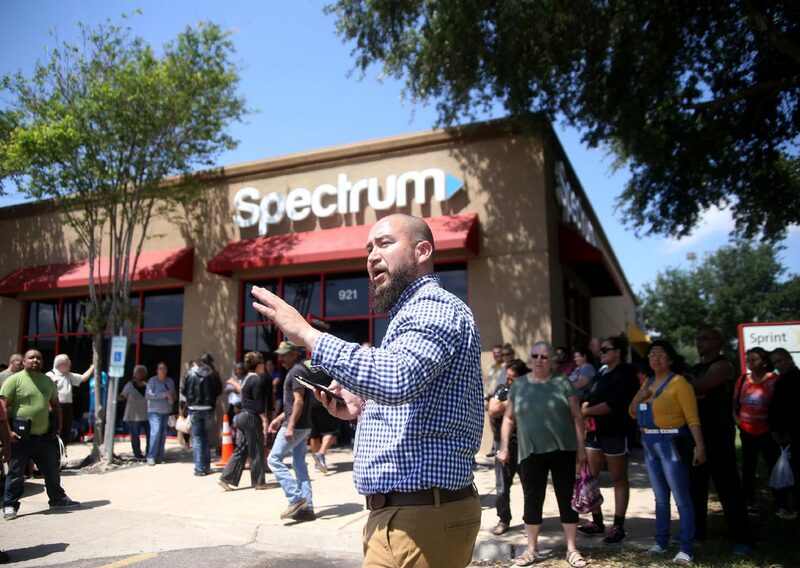 Spectrum's Jose Reyes calls out names of customers, many who waited for hours in the parking lot of the McAllen store. 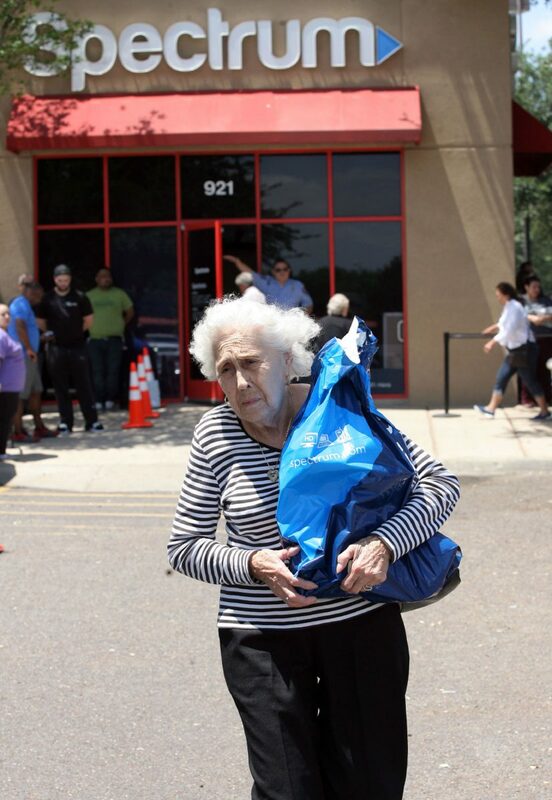 Maria Elma Salinas, 85, of McAllen, carries her two cable boxes as she leaves the Spectrum office Wednesday, April 11,, 2018, in McAllen. Salinas waited in line 4 hours. Spectrum employee retrieves cable boxes from a portable storage area Wednesday April 11, 2018, in McAllen. 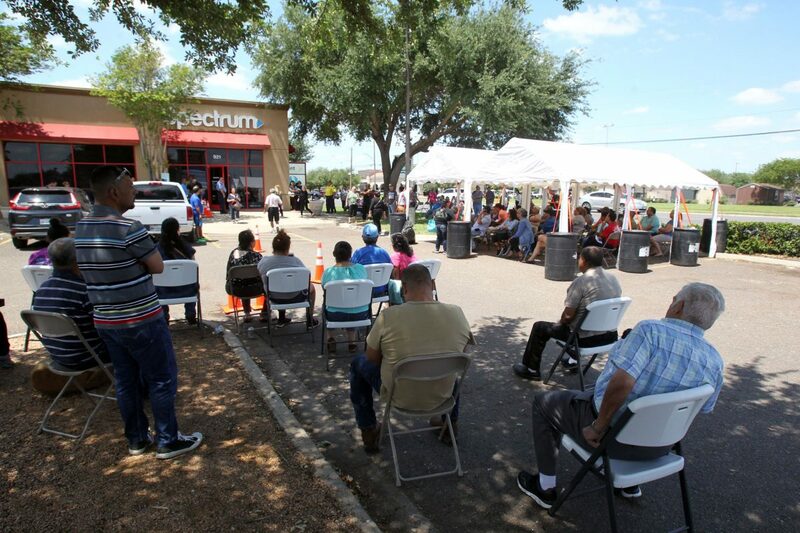 Waiting their turn to be called to receive their cable boxes at SPECTRUM offices Wednesday April 11, 2018, in McAllen. Though, some patrons said their service was cut off well before the date they were told. Oscar Magallan, a McAllen resident, said the letter he received informed he’d have service until April 17, but his cable went out Tuesday. He spent at least three hours Wednesday waiting to receive his equipment. “They could’ve done this a little bit better — more efficiently — instead of cutting off your TV then making you wait,” he said. According to the news release, the upgrade began Tuesday and will continue for the rest of this month and through early May. Customers also had the option to have the equipment shipped to their home or order a professional installation. Though, according to those waiting, the information they received wasn’t so clear. Michael Lemus, a landscaper from McAllen, spent over four hours waiting outside of Spectrum’s McAllen location with at least 50 others waiting to receive his digital equipment. What he was told by a representative would be a quick, 30-minute errand turned into a four-hour wait. “It’s sunny, but not too hot; a perfect day for cutting grass,” Lemus said, under white tarp tents set up for the patrons who had waited the longest. He probably wouldn’t get any work done that day, he later said. Complimentary water bottles were distributed, but according to those waiting, they were told that the restrooms in the building were for employees only. “They should’ve done it in an easier way,” Lemus said.